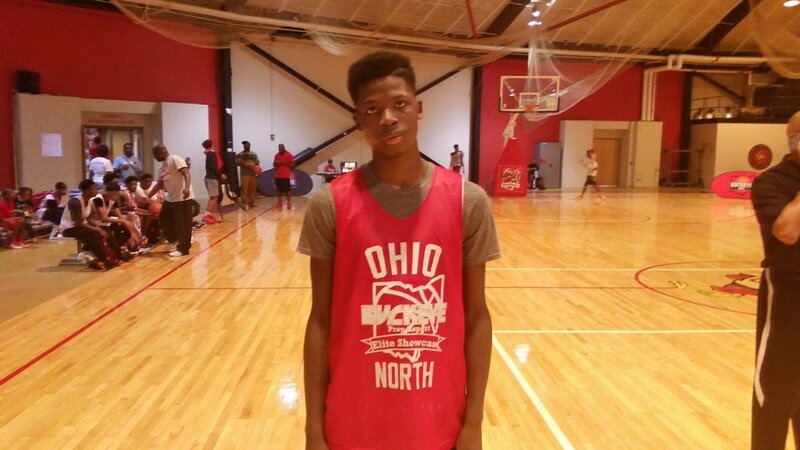 Basketball Spotlight took a trip to Columbus, Ohio for the Buckeye Prep Elite Showcase. Here’s a look the Part 1 of the top performers from the Class of 2022. Chris Livingston Forward (Ohio)- Livingston play like a man amongst boys in the Ohio North vs South Game. He scored with ease going coast to coast on several occasions. He has a serious wing span and goes rim to rim like a deer. He got buckets while cruising for layups and darting through traffic. He easily has to be considered one of the top prospects in the class in the country. Paul McMillan Guard (Ohio)- Yes McMillan impressed us once again. He has a nice stop and pop game. While getting done from the point guard or scoring guard arena. When he gets hot his confidence shows in his play making. He practices good body control and change of direction. Sonny Johnson Jr. Guard (Ohio)- In the game I saw Johnson was cold from behind the arc so he brought out more of his point guard skills. I like watching him drive, draw and kick to teammates. I think he’s a natural floor general and he looks more comfortable as a distributor. Nate Houston Guard (Ohio)- Houston is an athletic wing that uses explosive moves to finish at the cup. He uses both ends when handling and finishing. I loved the passion he showed especially when pushing the rock in transition. Cameron Myles Guard (Ohio)- Myles is another combo eye that caught our eye. He’s an athletic finisher that showed an array of acrobatic moves near the tin. When he has the rock his mind set is getting the rock inside the rim. He’s a natural scorer. Jordan Hale-Frater Forward (Ohio)- Hale-Frater was undersized in height but made it for it by bouncing out defenders with his wide frame. He tries to pin defenders under the bucket to negate their shot blocking ability. 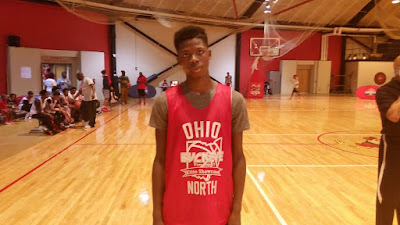 Khalil Luster Guard (Ohio)- Luster is always a major factor on the despite his pint size frame. He danced his way around defenders and spoon fed teammates near the cup. When the defense tried to jump his passing lanes he hurt them with the floater or scoop shot.